Witness: The Falling Away – I Am Not Ashamed Of The Gospel Of Christ! Christianity and the Scriptures are under attack from its politically and religiously correct opponents. The Southern Baptist Convention has put out their denomination-approved translation called the Christian Standard Bible. This translation or version removes all Gender Specific terms such as man, woman, father, mother, brother, and sister in order to be more “Correct” in today’s culture. The LORD GOD ordained and created this Adamic race as a cohesive union of two separate genders. This is an affront to that Divine Plan. Also the SBC is infiltrated by Freemasons and many times they hold the purse strings for the various churches, and care nothing for The Gospel. They are enemies of the Cross of CHRIST … and the friends of the “party line” of the globalists. The former private school issues a handbook to students and within that handbook are two verses that ‘the agenda of tolerance’ wholeheartedly disagrees with. The verses under fire speak the truth against modern day culture and are meant to separate Christians from the world. Here are the Scriptures that they demanded to be removed and replaced with more “Loving” Scriptures !! These Scriptures are VERY Loving. They tell those who will hear how to escape Eternal punishment and inherit The Kingdom of GOD. 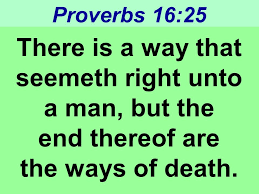 It also warns those who desire to live a sinful and depraved lifestyle and persist in that evil, that they will NOT be any part of the Kingdom of GOD. This is TRUE LOVE, not a sickly “Tolerance” that will encourage sinners into Eternal Fire and separation from GOD. The current Judas-Pope that is seated at the Vatican has now appointed a pro-abortion professor from Oxford University to a position on the RC’s pro-life academy. Very strange. Is the RC position on abortion about to change? But its not too surprising given the recent horrible and heretical statements this man has made against the Holy One of Israel and HIS Beloved SON+, ha MASHIACH+, and against The Law and the Prophets, against Creation itself. Here are a few heretical statements, for starters. See the links below from a Roman Catholic site itself! The world thinks that this man speaks for Christians! Nothing could be further from the truth. We have the infamous United Methodist Church, a paragon of Apostasy and non-Christianity, appointing a woman , a practicing lesbian as a regional bishop! This organization has despised The Word of GOD and has proven it over and over. John Wesley would renounce it in no uncertain terms. Are we seeing the beginning of the great falling away? The Great falling away is most likely at the door. It is obvious that the religious system cares NOTHING about the LORD JESUS. When the right set of circumstances come about, — and they are close at hand — the churchians will turn enmasse to worship a False Messiah and to take his mark. They have already made it plain how they feel about JESUS CHRIST and prove it with their lives. They have “regulated and ruled” The LORD out the door ! ALL doctrine is tolerated, except one — SOUND DOCTRINE. Be on guard and be aware. JESUS said, “If you Love ME+ keep MY+ Commandments,” i.e., do what I+ say, live as I+ have Commanded you to live. Come out from among them MY+ people, touch not the unclean thing and I+ will receive you. Yes brother the Great falling away manifested a few years ago and now we are finding ourselves in a world that followers of Christ can’t recognize. I am witnessing it’s full force even in my daily dealings regularly. The vile turn of ordinary people even in the workforce, is almost more than I can bear. But we were warned this day would come. I never expected it in my lifetime, but it’s here in full force. May God protect His children and those who follow Him. Will He find Faith when He returns??? Are the End Times Upon Us? Are we seeing the beginning of the great falling away? Yes, it appears that it is. It is going to get worse , and when the right set og=f circumstances come together there will be a mass falling away. The Real and True followers of JESUS will have to stand strongly in HIS+ Strength. Bless you. Thank you for your comment.